A refinanced office complex benefits from not only favorable market dynamics but also organic growth from existing tenants such as Google which are drawn to the building’s central location and amenities. The Colonnade includes three office towers, a three-story atrium and an eight-story garage. 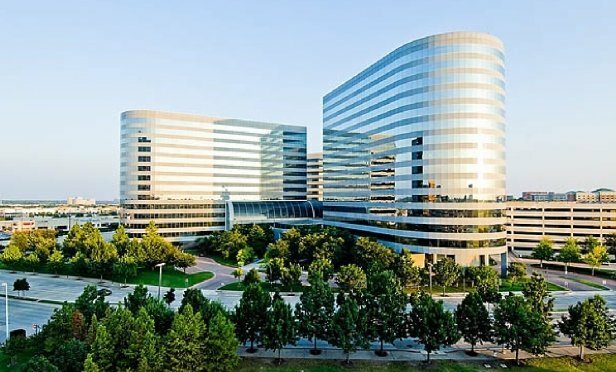 DALLAS—The Colonnade, a 1.07 million-square-foot three-building class-A office complex, is considered one of the premier developments along the Upper Tollway in the Dallas-Fort Worth metroplex. Since being acquired by Fortis Property Group in 2013, the Colonnade has remained in high occupancy with anchor tenants Hilton, United Surgical Partners, Zurich American Insurance, HQ Global Workplaces and Systemware.